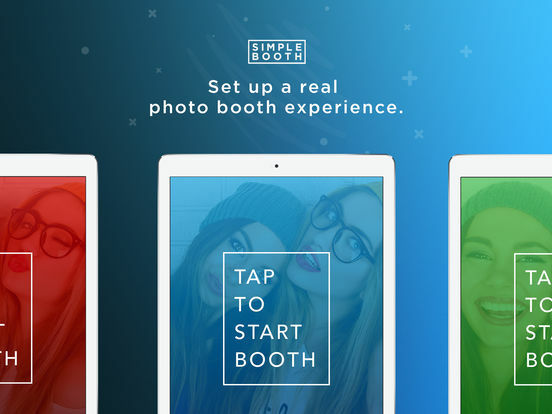 Simple Booth Event Edition is designed for a real photo booth experience at live events. You can set up an amazing DIY photo booth or even book your own photo booth gigs on a budget. 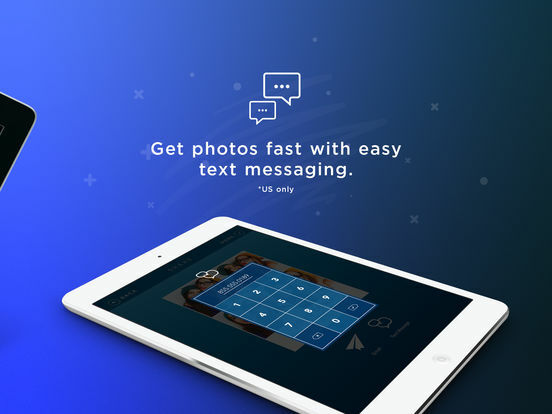 Simple Booth creates an an exciting experience for your guests through a simple user interface and its intuitive way to get photos quickly by email or text message (US only). Simple Booth will be so easy-to-use for your guests that they will have plenty of time to take as many photos as they want, with or without an attendant. You can set the app up to run all by itself by using the iPad’s front camera so guests can see and interact with the screen on their own. It works great in either portrait or landscape orientation. After the event, you and your guests can enjoy all the photos in your event’s very own online gallery and relive all the fun! Your gallery includes the hash tag of your choice and icons to enable guests to easily share to Facebook or Twitter from their phone. You can pre-select GIFs or choose from a variety of traditional photo layout options, including single photos or photo strips. 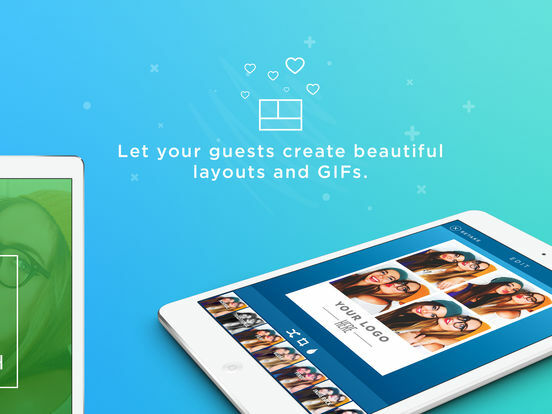 Your guests change their layout on the fly with a simple swipe or you can lock it down to be exactly the same for every person. It’s super easy to place your own logo or graphic from your Camera Roll onto any layout or GIF. For a more traditional photo booth experience, Event Edition offers printing over AirPrint and comes loaded with automatic formatting for vertical photo strips. You can choose any paper size that your printer supports. You can count on Simple Booth Event Edition to make your event more awesome!